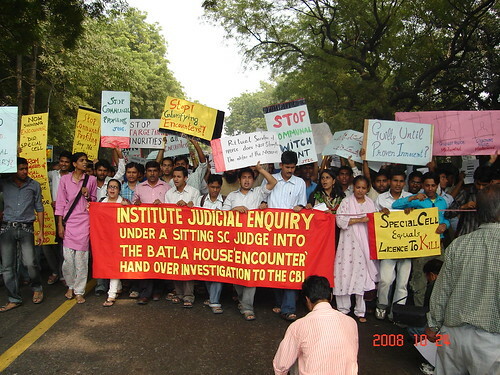 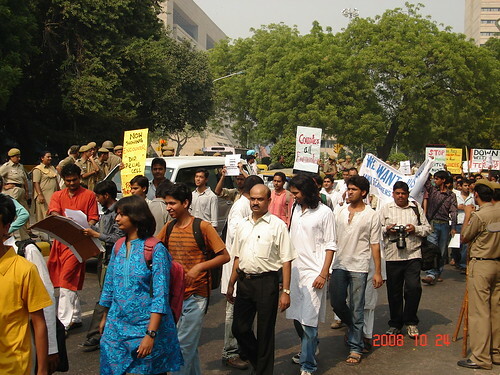 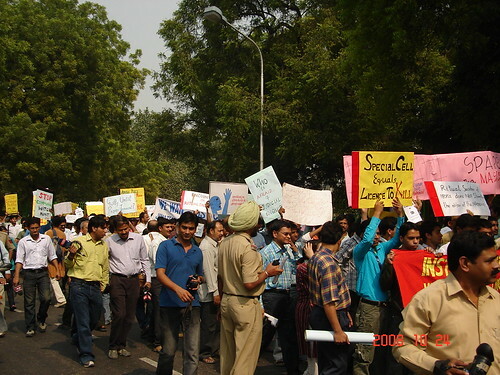 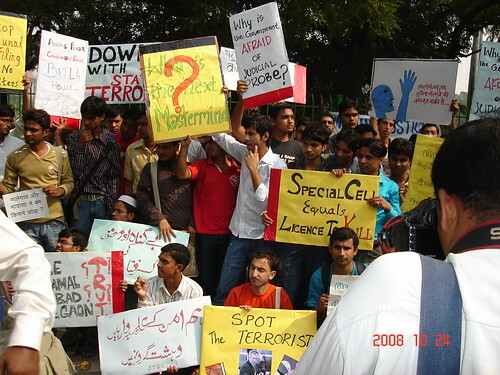 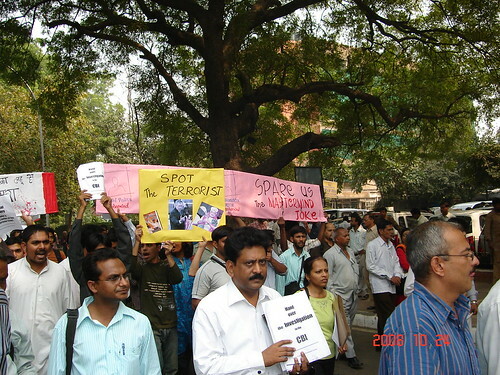 On October 24, 2008, Jamia Teachers Solidarity Group organised a rally to Parliament in New Delhi to protest against profiling of minorities in the country and to demand a judicial enquiry in the Jamia “Encounter”. 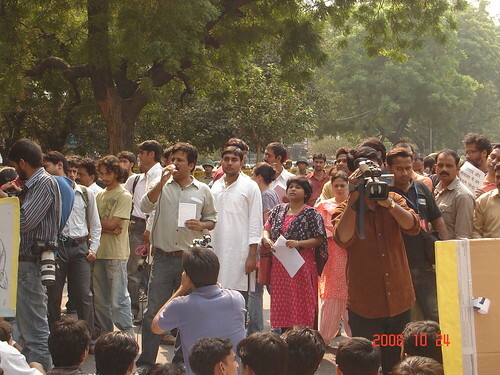 Along with various political activists, teachers and students from all three major universities in Delhi – Jamia Millia Islamia, Delhi University and Jawaharlal Nehru University attended the rally. 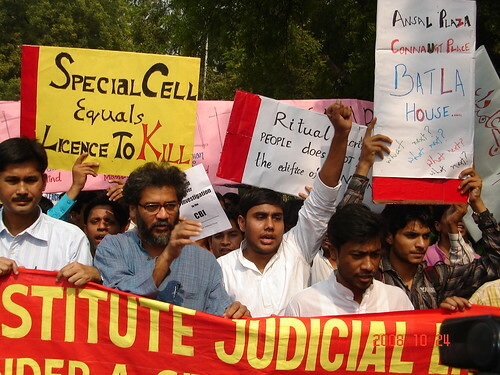 CPI(ML) Liberation General Secretary Dipankar Bhattacharya was also present and later addressed the rally. 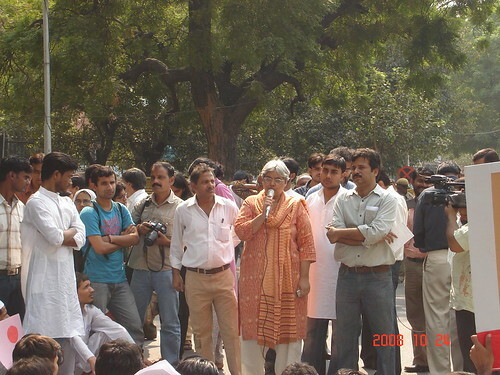 Shabnam Hashmi of ANHAD, an NGO working against communalism also addressed the rally. 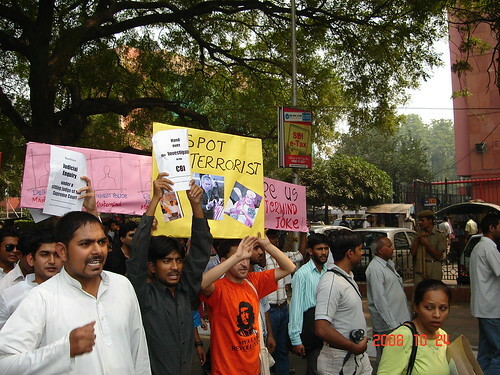 She was among the first people who probed and questioned the “encounter.